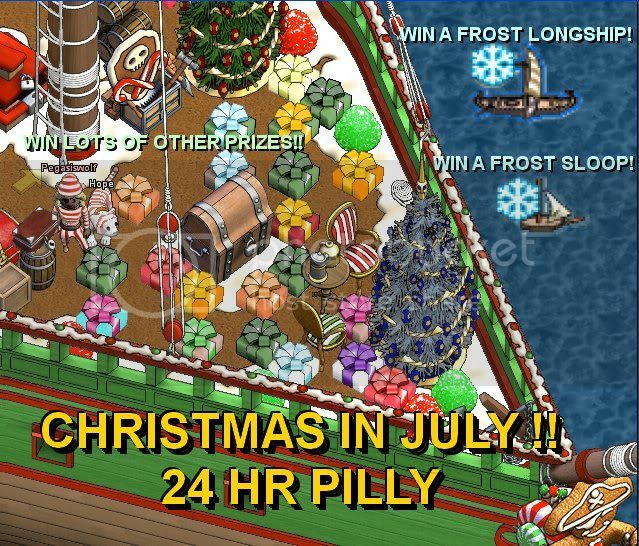 Puzzle Pirates Forums - View Thread - XMAS IN JULY -24 hr WB pilly.. lots of prizes!! Forums » List all forums » Forum: Sage Events » Thread: XMAS IN JULY -24 hr WB pilly.. lots of prizes! !